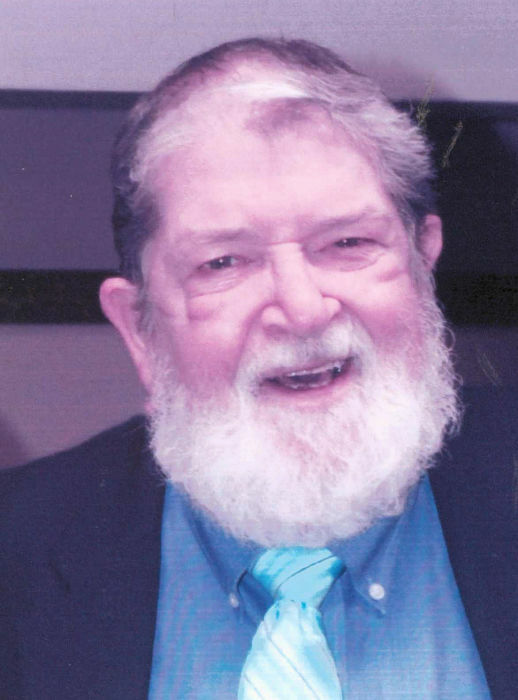 Russell L. Paquette, Jr., 80, formerly of Spring Street, Meadville and a resident of Rolling Fields died there Friday, October 26, 2018. He was born in Detroit, MI December 20, 1937 a son of Russell L. and Mary Hornell Paquette, Sr. He married Katherine (Kate) Bird September 11, 1965 and she preceded him in death July 5, 2005. He was a graduate of Wayne State University in Detroit, MI where he received his Masters Degree in Theatrical Arts. He worked as the Technical Director at the Hillberry Theater at Wayne State University and at the Bucks County Playhouse in New Hope, PA. He and his wife, Kate, moved to Meadville in 1973 where he was active at the Meadville Community Theater. In 1981 he and Kate built the Gardner Theater at the Meadville Market House and in 1990 helped rebuild and open the Meadville Academy Theater. Over the years he acted, directed and was set designer for many shows in the larger theater community of Meadville. He also was lighting and stage designer for the Allegheny Jazz Society with his wife Kate and founder, Joe Boughton. Also, during his time in Meadville he worked as a machinist at Leech Carbide from 1975-1999 and in his retirement worked for the PA Wine & Spirits Store, drove for Wykoff Transportation and was a delivery driver for Northwest Pharmacy. He was an active member of Christ Episcopal Church singing in the choir and was a Vestry Member. He is survived by a daughter, Derrie Carpenter (Steve) of Harrisville, PA; four grandchildren, Ethan Michalski in North Carolina, T.J. Carpenter of Harrisville, Lora Carpenter of Meadville and LCPL Steven Carpenter, USMC currently stationed in Japan; a brother-in-law, Derry Bird (Nancy) of Scranton; a sister-in-law, Tessie Bird of Meadville; two nieces and two nephews. In addition to his wife and parents, he was preceded in death by a brother-in-law, Jim Bird. The memorial service will be Saturday, November 17th at 3:00 p.m. at Christ Episcopal Church, 870 Diamond Park, Meadville with Rev. Rebecca Lash, Vicar, officiating. The family suggests memorials be made to the Academy Theater Foundation, 275 Chestnut Street or the Meadville Community Theater, 400 N. Main Street, both of Meadville, PA 16335.